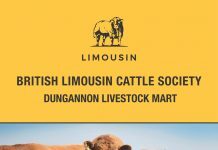 Once again, across Northern Ireland the autumn season saw several suckled calf shows and sales run by the Northern Ireland Limousin Cattle Club in conjunction with their long-standing sponsors Ulster Bank Limited. 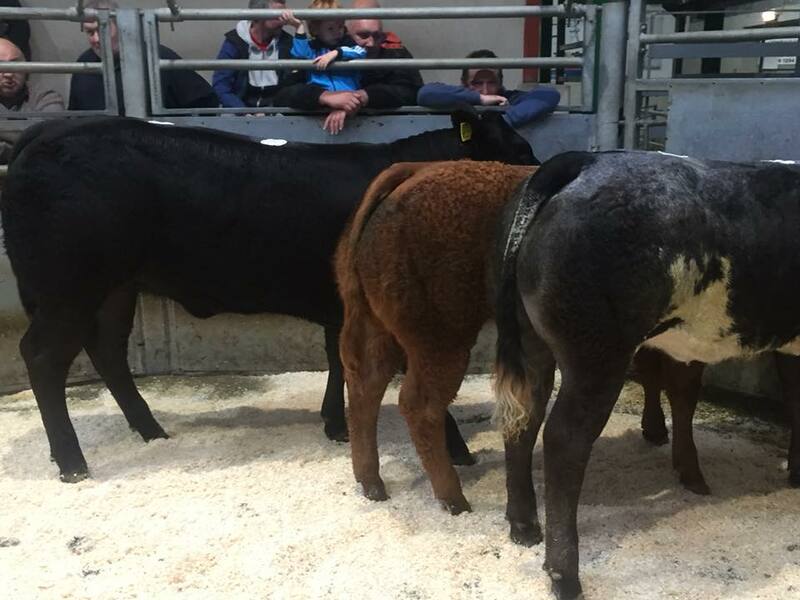 Supporting the stockmen in the region is a crucial part of the Club’s activities and it was again a fantastic display of young animals brought forward to the selected venues across the province – Ballymena, Hilltown, Swatragh, Enniskillen, Keady, Camlough, Armoy, Dungannon and Markethill. 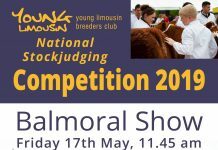 Each of the events held a show prior to the sale with prize money on offer. 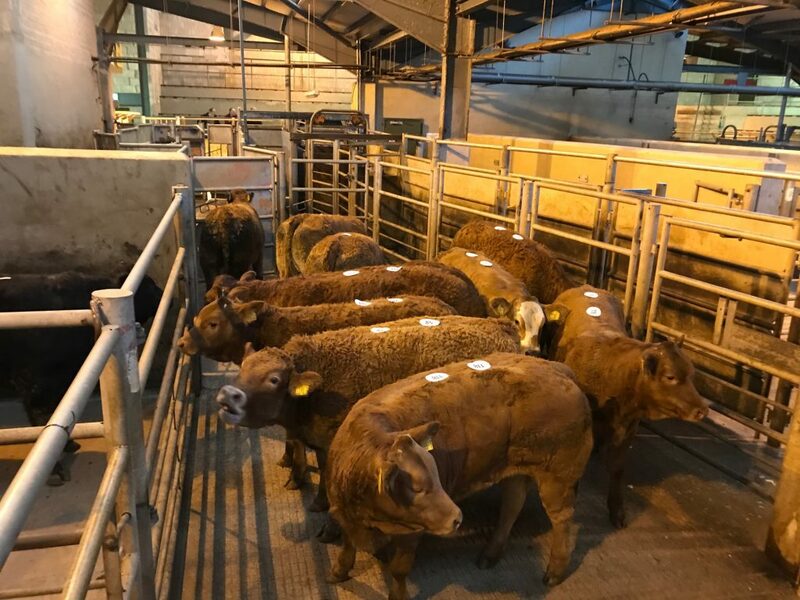 Attracting good local support, the sales are always an excellent window of opportunity for commercial buyers to obtain Limousin cross cattle that are suitable for the current beef market. This year was no exception. At Camlough in late September, Patrick Hannaway took home £870 for his first placed heifer while Brian King realised £990 for his male Champion. At Armoy, Ivan Lynn and Sons took all the rosettes home while at Ballymena, the second placed junior heifer from Dale Robinson topped the sale at £1900 when selling to Gareth Corrie. 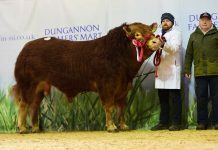 The Champion at Ballymena came in the shape of a senior heifer from B McAllister, Glenarm, who made £1140 in the post-show sale, the Reserve Champion, a bullock from O’Kane Farms at Dunloy was knocked down at £1180. Onto October and the schedule kicked off at Keady on the first day of the month. Standing as Champion was a 355kg bullock from Chris McKee which went onto sell for £1090. Chris also took the red rosette for the first placed female, a 265kg youngster who secured a bid of £1000. At Markethill just a few days later trade was even stronger, where the first prize winning heifer, who tipped the scales at 300kg, sold for £1350. Onto Swartagh on the 8th October and the 382kg Show Champion from Patrick McEldowney of Slaughtneil fetched £1420 and at Enniskillen later in the month Gordon Elliott’s 453kg Champion bullock made £920. The strength in the market for Limousin calves demonstrates how the breeds genetics continue to stand out within the sector, despite ongoing, wider trading challenges and uncertainty around Brexit. The market demands fast finishing, efficient, low-cost cattle that produce carcases consistent in weight and quality. 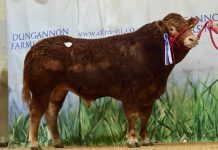 It is a blueprint for the breed, one which it delivers extremely well and is the principle reason that buyers seek Limousin stock of all ages.